The Islamic State of Iraq and Al-Sham (ISIS) attempted to launch counter-offensive in the Al-Bab Plateau in the province of Aleppo last weekend. However, the militants weren’t able to break the Syrian Arab Army (SAA) defensive positions. Heavy clashes also were observed in the area of Ayn Al-Bayda where Liwaa Suqour Al-Sahra and the SAA repeal another offensive attempt of the militants. After the fall of Salma, the pro-government forces are continuing to gain momentum in the Latakia province. Recently, the Syrian forces took control of the villages of Kadin, Duwayrikah, Mrouniyat, Kurt Fawqani and the areas of Kurt Tahtani, Kuzbar Mount, Sundian Mount, Alkndisih and Beit Afeefah. Thus, the SAA and its allies are advancing in the direction of the strategic town of Jisr al-Shughour located at the M4 highway. The SAA and the NDF advanced on the concentration centers of the militant groups in the Sheikh Meskeen region of the Dara’a province. 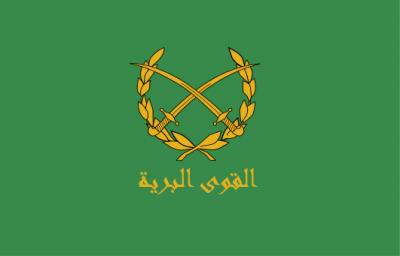 Also, the pro-government forces attacked the militants positions in al-Balad. Southwest of Gharz Prison in the Southern part of Dara’a city was also the scene of fierce clashes. Pro-Syrian sources report that the militants suffered heavy casualties. On Jan.16 the Russian army launched humanitarian operations in Syria. The first humanitarian aid consignment has been delivered by Russian aircrafts to the city of Deir ez-Zor. According to the Russian Defense Ministry, some international non-governmental organizations have been already delivering humanitarian aid to Syria. However, this aid is mostly being delivered to the areas controlled by militants where most of this aid gets into the hands of extremists and is used for terrorist formations’ supplies. On Jan.17, Jordanian Minister of State for Media Affairs and Communications Mohammad Momani stated that supporters of ISIS are among Syrian refugees in the camps near the Syrian-Jordanian border. About 12,000 Syrian refugees are in these camps. There is nothing new in the fact that terrorist groups including ISIS use refugee camps especially in Turkey as rear bases for operations in Syria. However, this statement could mark a shift in the Jordanian strategy in this situation. It’s hard to believe that militants were able to successfully use refugee camps at the border without unofficial support of the Jourdanian special services. SouthFront: Analysis & Intelligence remembers, last week, Russia set up a joint war room with Jordan to coordinate anti-ISIS military operations in Syria.